Director Sriram Raghavan is back with his edgy, offbeat storytelling with his upcoming movie Andhadhun. A slick, dark comedy-thriller, this film is about a blind man who experiences life-changing events that make him see things that he probably shouldn’t. 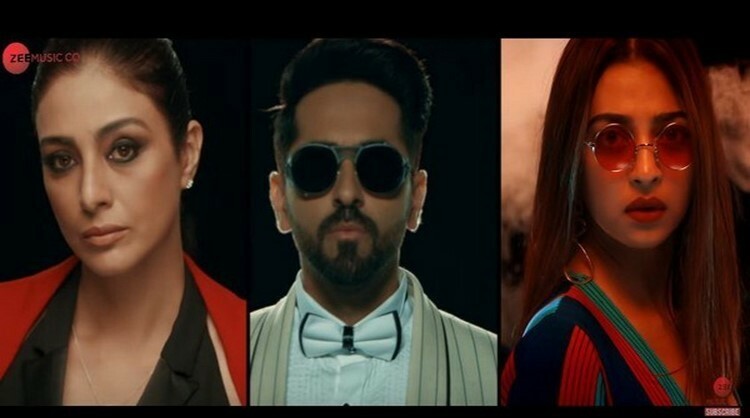 As esoteric as it may sound, Andhadhun explored the underlying sentiment of the word, translated as ‘someone with a belief so blind, that they do not question or think about their actions.’ Slated to release on 5th October 2018, the movie features Ayushmann Khurrana, Radhika Apte, and Tabu in lead roles. So before you head to the theatres to watch the team in action, here’s a few things you might want to know. Andhadhun, translated as The Blind Melody is the story of a blind pianist who showcases different facades of his love story through his own dark world. All goes well until he crosses path with an affluent woman. As someone who lacks the ability to see, the man ends up witnessing a murder, which takes him down a rabbit-hole of spiralling events, murky twists and turns of character, turning his life upside down. The story explores different social classes and the all-consuming hunger for power and the moral depreciation of every character involved in the story. Director Sriram Raghavan’s narrative with a touch of Alfred Hitchcock and Quentin Tarantino in his storytelling is sure to take the viewer on a wild trip. The canvas of Andhadhun is power-packed with incredibly talented actors like Tabu, Radhika Apte, Ayushmann Khurrana, and veteran actor Anil Dhawan in prominent roles, which promises a stellar performance overall. The film also marks the debut of a cat (yes, a cat) who plays a significant character in the story, and apparently holds the strings to its mystery. Other cast members contributing to the film are Zakir Hussain, Ashwini Kalsekar, Manav Vij, Chaya Kadam, among many others. With an edgy narrative, grey characters, and myriad plot twists, Andhadhun might push to you think if the main protagonist is what he says he is. To find out, you need to head to the cinemas on 5th October and unravel the mystery of the blind pianist.